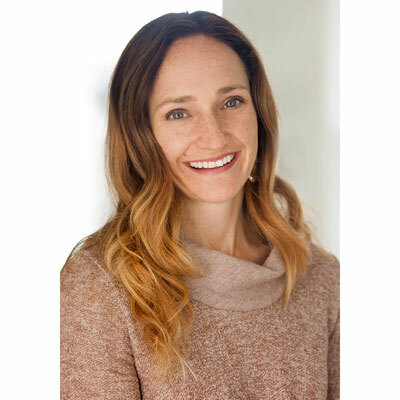 Alison Haynes, VP of Marketing and Partner Programs, leads IntelePeer's overall marketing strategy and integrated marketing initiatives including corporate, digital, field and partner marketing. With 20 years of marketing and indirect experience, Alison has been part of award-winning partner programs at GE Access, Level 3 and Global Crossing. She has developed and launched programs and branding campaigns as part of overall sales strategies as well as the tools and programs sales teams and partners need to be successful. Guided the company move to an all Indirect Channel go-to-market strategy, removing roadblocks and channel conflict for IntelePeer's channel partners. This was the most important change to our program, and allowed IntelePeer to reorganize its resources and organization to better support our partners from a product, sales and network perspective. In 2017, we focused heavily on training and communications, bringing our partners along the communications transformation journey, and how they can capture new business prospects. Most importantly, we want to show our partners what a true partnership means by building lasting relationships and enabling them with the right resources to help their success. This means more custom business planning, joint marketing activities and training. As we launch new products and feature sets, our partner community will need our assistance in educating them on the new opportunities, how to approach solution selling and who to sell to. For years, Beyonce has built up an enterprise and established herself as a multi-faceted leader and investor controlling her own music, clothing business and her brand. She constantly is best in class, excelling because of hard work and impeccable work ethic. Through her art, investments and foundation works, she takes a stand in what she believes across corporate and social lines and empowers others. Everything happens for a reason - understand that without mistakes and failures, you would never have learned. Once you understand this, then you will realize that everything comes in with a purpose and then it will go, they are fleeting nature of events in life. Do not dwell on disappointments as everything happens for a reason. I would love to better understand and use coding skills. Not only would it help me in my daily job with websites, apps and working with our Product Development Team, it would also help me help my kiddos on their coding projects! Lincoln in the Bardo by George Saunders. Saunders is a terrific short-stories writer and this is his first novel and his approach is experimental and unique. It takes place during the course of a single evening and is set in the bardo - an intermediate space between life and rebirth. It blends a supernatural element based on historical events and deals with characters who dwell on their actions and regrets and compassion for humanity.